SKU: HCOM-SCY. Category: Hair Jewelry. 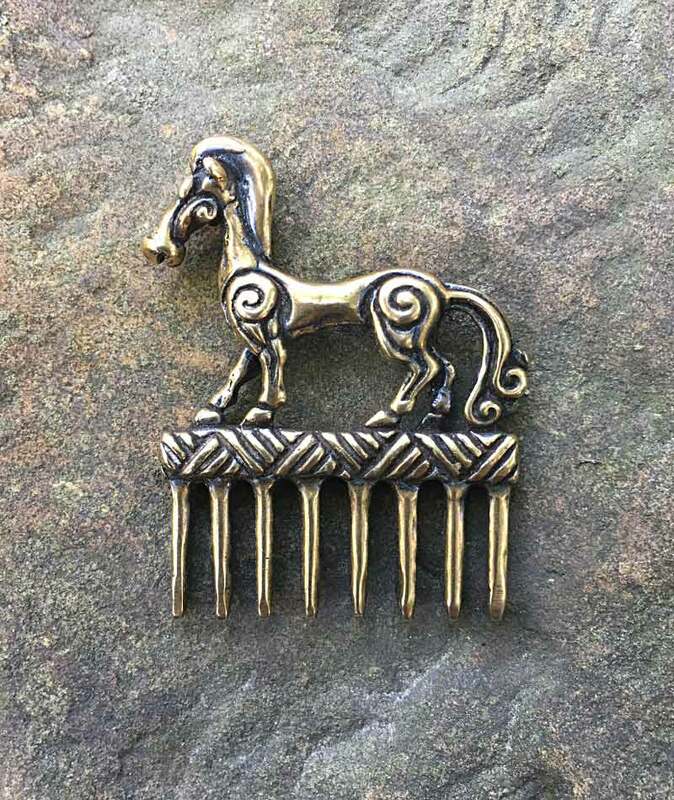 Stay stylish as you gallop across the Pontic-Caspian steppe with our Scythian Comb! Inspired by the artwork of nomadic Scythian horsemen, this comb can also be used as a pendant. Cast in your choice of solid bronze or sterling silver, it measures approximately 2” tall and 2” wide (50 x 50 mm).